The South Korean firm said on Friday it expects to record 9.2 trillion won (£6.2 billion) in operating profit in the period, up from 6.1 trillion won (£4.1 billion) a year earlier. Last year Samsung was forced to scrap its flagship Galaxy Note 7 smartphone because of concerns over consumer safety, with faulty units overheating and exploding due to a battery defect. The firm said it would cost billions to pull the smartphone off the market, but reassured investors it had enough cash to absorb the shock to its balance sheet. 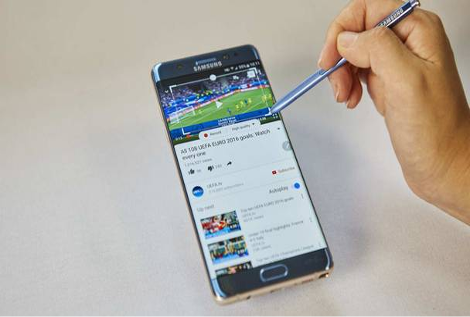 Samsung expects sales to fall 1% in the fourth quarter to 53 trillion won (£35.8 billion) and, for the full year, the tech giant forecasts a 10% rise in its annual income. Kim Young Woo, an analyst at SK Securities, said: "It's thanks to the improvement in semiconductors and displays on top of favourable foreign exchange rates."